Filming has wrapped on GOYA'S GHOSTS with the last scenes in Boadilla el Monte near Madrid. 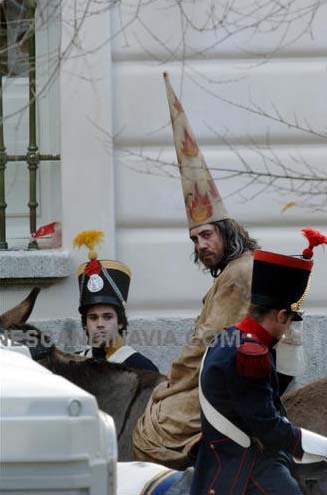 These photos capture some of those scenes with Javier Bardem in the role of the monk, Brother Lorenzo. Stellan has most likely returned to wintry Sweden to reunite with his family for the holiday season. I have no information on 2006 film projects at this time, but I'm sure it won't be long before we hear word about his next role. BEOWULF AND GRENDEL will have its US premiere at the 17th Annual Palm Springs Int'l Film Festival, held January 5-16, 2006. The film previously made its world premiere at the Toronto Int'l Film Festival in September. The festival's description says, "Director Sturla Gunnarsson brings enormous visual panache and psychological depth - as well as touches of unexpected humor - to this tale of retribution and revenge." If you didn't catch the teaser trailer for DEAD MAN'S CHEST on Entertainment Tonight, you can now view a good quality version of it at Yahoo! movies. Stellan is looking a bit green under the gills but, after all, remember he has spent a considerable amount of time on the ocean floor. 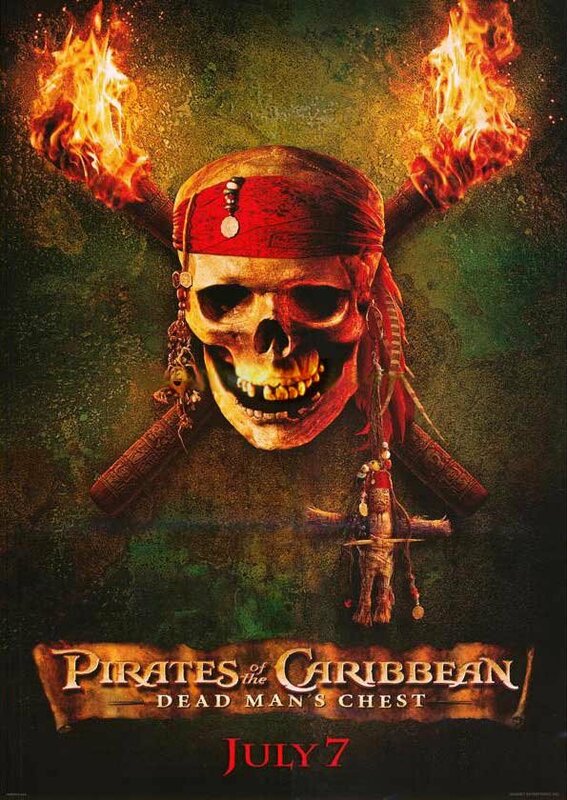 The sequel looks like a hoot again and Johnny Depp had me laughing just in this short teaser as he deliciously plays Captain Jack Sparrow with wonderful pirate panache. 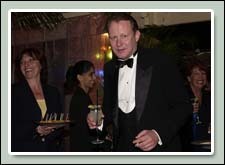 And I have no doubt that Stellan's performance will be awesome as well. IGN FilmForce reports that "the trailer hints at a more deliberately Depp-centered film" and "looks like filmmakers have upped the action considerably for the second installment." From GreenCine Daily: "Filmz.de points to a short report in Die Welt that Lars Von Trier is giving up on DIMENSION, a project he started in 1991 for which he'd been shooting three minutes a year. The premiere was slated for 2024. The aging of the actors, which included Udo Kier, Jean-Marc Barr, Stellan Skarsgård, Katrin Cartlidge and Eddie Constantine (the latter two, of course, have since passed), was to have been incorporated thematically in the film. You have to figure, depending on whether or not he shot anything this year, that he's got either 39 or 42 minutes. Die Welt reports that the fate of this footage has not yet been determined." 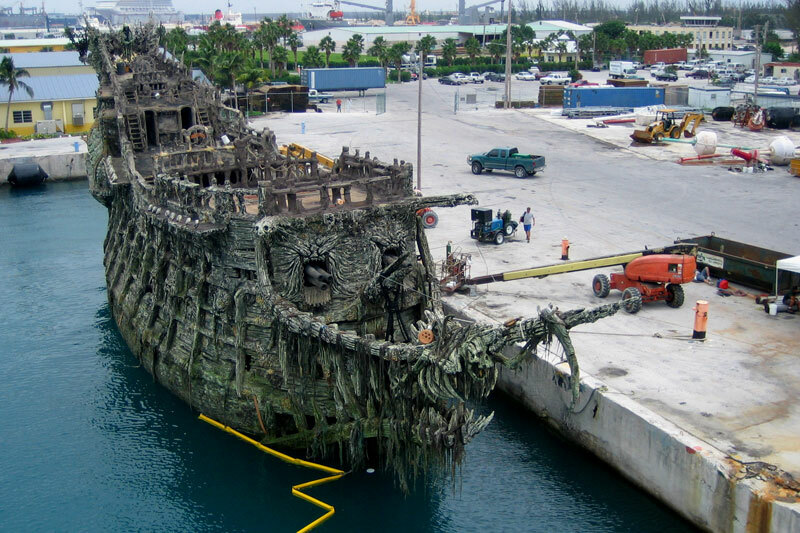 The photos below show the haunted Davy Jones ship from the upcoming Pirates of the Caribbean: Dead Man's Chest. 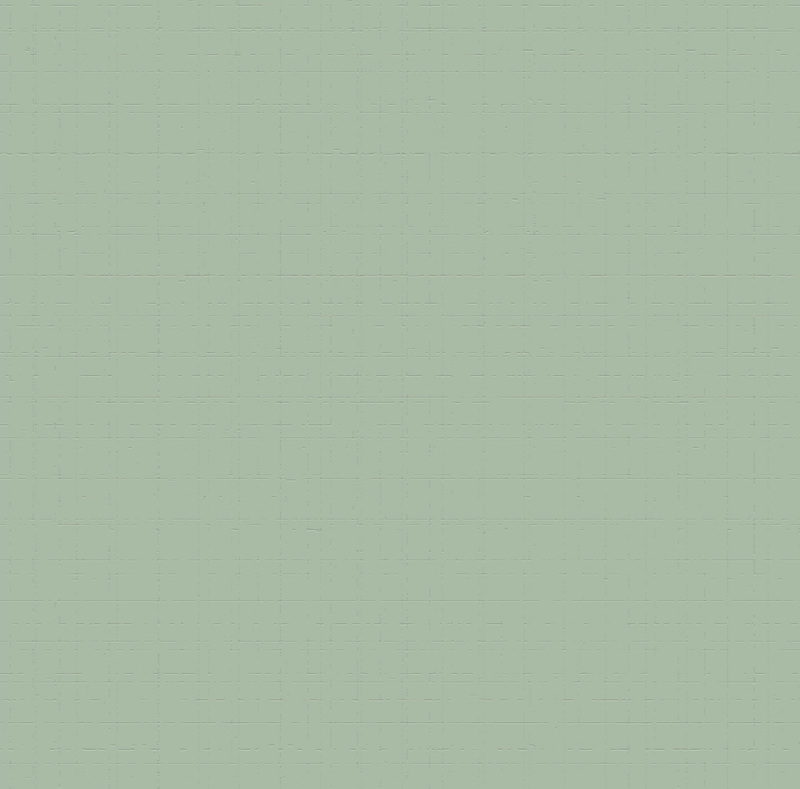 Apparently, the trailer link in the 11/27 update may be a "pirated" crude version. You can view a better quality version tomorrow night when the trailer premieres on Entertainment Tonight. 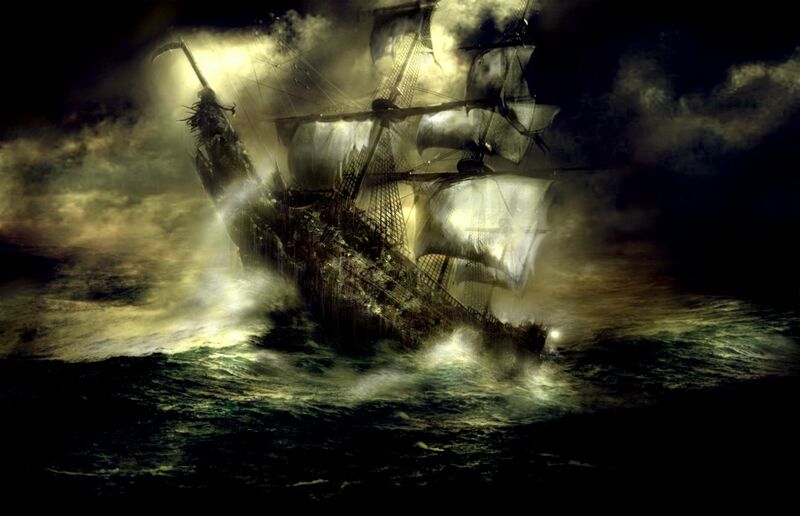 In the film Captain Jack Sparrow must figure out how to pay back a blood deabt to Davy Jones, ruler of the ocean depths and captain of the ghostly Flying Dutchman. If he's unable to pay, he'll be cursed to eternal damnation. 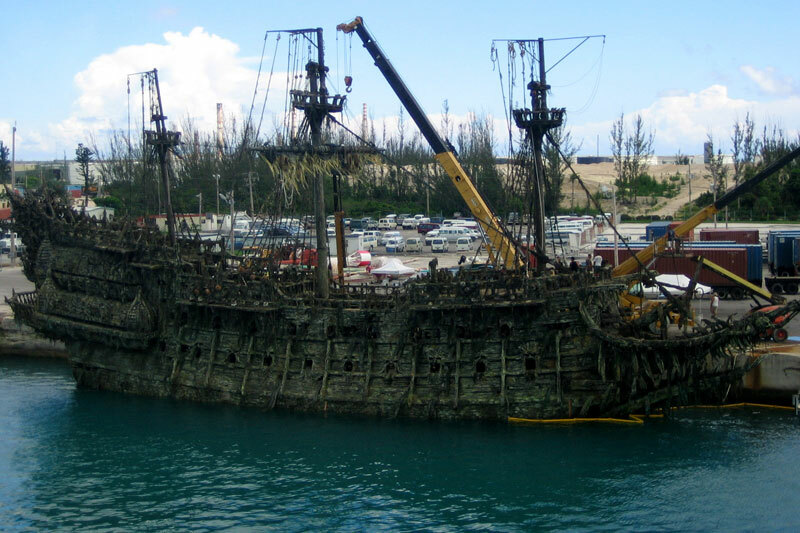 As you might expect, Captain Jack's problems complicate the wedding plans of the blissful Will Turner and Elizabeth Swann, who quickly find themselves thrust back into Jack's misadventures. 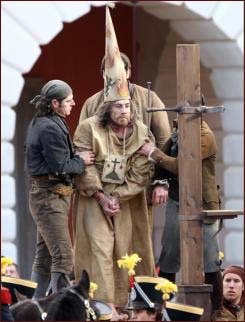 Johnny Depp, Keira Knightley and Orlando Bloom are back for the sequel joined by Stellan, Naomie Harris and Bill Nighy. The film docks in theatres on July 7, 2006. I've added another interview to the Press Section, thanks to a translation by Robin Solsjö Höglund. It was originally published in the October 4, 1982 issue of Sweden's Vecko Revyn magazine. At 31 years old, Stellan answered a list of short questions in the same impish manner we've come to love! I've also added larger images on the 2000 Telluride Film Festival page and on the 2000 Toronto In't Film Festival page, plus on the 2002 Toronto In'tl Film Festival page, I've not only added larger images, but also several more photos. 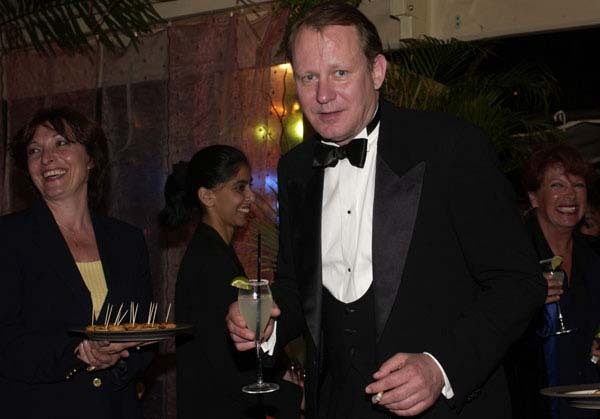 And here's a new one from Cannes 2003 - I call it "Classic Stellan" with a cigarette in one hand and a drink in the other and looking quite dapper in his tuxedo. 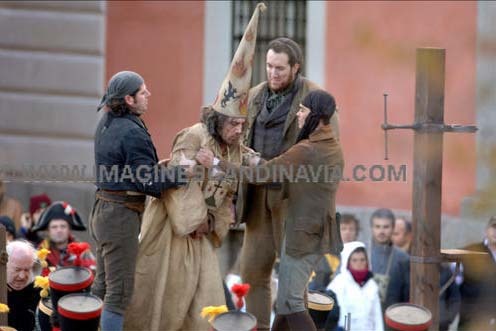 Filming for GOYA'S GHOSTS continues in Spain. This past week production shifted to Salamanca where scenes were shot with leads Natalie Portman, Javier Bardem and Stellan. Among the locations were the San Esteban convent and the Palace of the Infant Don Luis. Director Milos Forman describes the province of Salamanca as one of the most beautiful in the world. The photos below were published in Spanish newspapers. They include shots of Bardem, Portman and Forman but none of Stellan. The Academy of Canadian Cinema and Television is hosting a screening of BEOWULF AND GRENDEL as well as a discussion with its director Sturla Gunnarsson on November 29th at the Vancouver International Film Centre. The film will have its Canadian theatrical release in March 2006. 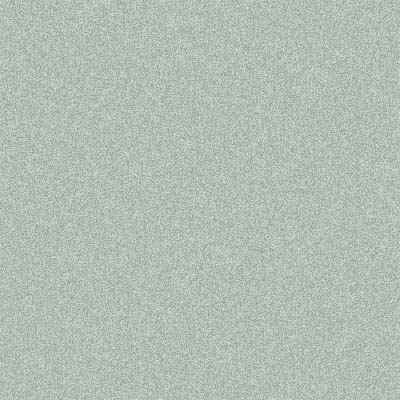 At this time there is still no US distributor.